The world is best captured in lenses; there is no doubt about that. For over 50 years, Fujinon has proved this undeniable fact to the word through production of quality lenses. The journey started back in 1962 when Fujinon launched its research on TV and broadcast lenses. At that time, no one had an idea that Fujinon was embarking on a journey that would result to PL mount premier series of lenses and other advanced lenses five decades later. The journey of providing the world with high-resolution quality lenses has been adventurous; one full of perfection and idealism. Today, Fujinon boasts of a wide range of professional zoom lenses and among them is the popular Fujinon HD Professional Broadcast zoom lens. If there is one critical aspect that separates Fuji broadcast lenses from the common Japanese camera lens, it is the zooming capabilities. The highly intensified research by Fujinon professionals has resulted in some of the best lenses with incredible zooming power. That explains why Fujinon has crafted its way and established itself in the world of broadcast lenses. Advanced digitalised technology and continuous innovation by this great company has resulted in tremendous contributions in the professional broadcast zoom lens arena. Lenses for high definition TV broadcasting, especially effective in sports broadcasting & program production. Precision Focus (PF) Assistance System automatically adjusts focus for the best image. Today, Fujinon has some of the world’s most advanced lenses credited to its name. The emergence of high-end lenses like Fujinon ZA17x7.6BERD-S6 is not a journey that started yesterday or a couple of years ago. The journey began in 1962 with the official launching of the research. Five years after initialising its research on TV lenses, Fujinon made a critical discovery about the Inner Focus TV lenses for broadcasting. A further discovery that electron beam coating could improve the performance of zoom lenses further enhanced streamlined their journey. As early as 1973, Fujinon experts had figured out the undeniable essence of calcium fluorite in rectifying chromatic aberration associated with broadcast lenses. The improvements that came with this critical discovery were immense. 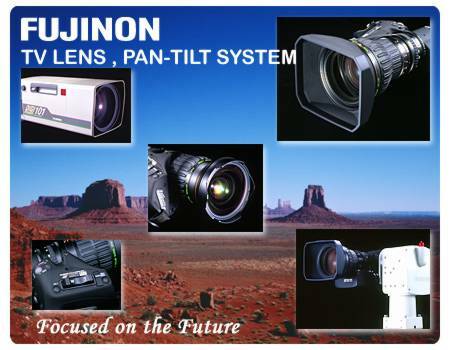 As Fujinon focused on improving the quality of the lenses, there was a rising need for better handling of the lenses. 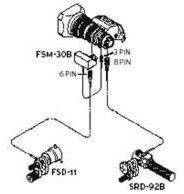 It was until 1986 that the variable group innovation made the handling of broadcast lenses easier and better. With the servo grip discovery, wrist fatigue associated with handing EBG or EPP lenses was made a tale of the past. Other advancements including a spherical technology, Digital Servo system, and Quick frame innovations have since then enabled the transition from production of Fujinon standard grade lenses to quality lenses with improved functionalities. The wide array of camera lens produced by Fujinon has revolutionised the TV lens industry in a big way. The most recent Fujinon HD Professional Broadcast zoom lens boasts of optical colour separation. This integrated feature greatly supports colour broadcasts by differentiating images captured through Television lenses into the three primary light colours; green, red and blue. This has worked a great way in enhancing colour broadcasting across the world. The experience of seeing the world in Fujinon -lenses has been made better; thanks to the wide angle zoom feature. This enables viewing from greater angles exceeding 90 degrees during live video shooting. The 14x series of Fujinon HD lens comes with a 4.5mm focal length, which enhances the better view of both wide landscapes and narrow door spaces at varied angles. The world’s number one broadcast lens manufacturers also boast of producing spectacular DIGI power lenses with zooming abilities of up to 101 times the capabilities of a normal lens. What this means is better functionality and greater videography experience when using Fuji lenses. Live sports broadcast have become the order of the day. Interestingly, only a handful of people is aware of the technology behind the amazing live capture of popular sports like soccer and basketball. Thanks to the precision focus technology, sports broadcast is now possible through Fujinon high-grade lenses. With continued revolution by Fujinon, the broadcast lens technology can only get better. For a better videography experience, you should opt for advanced professional broadcast lenses like Fujinon XA17x7.6 BRM and Fujinon ZA17.6BEMC varieties. You can make your orders online today and take the next step in capturing your world in HD.